The start of the Ray White Noosa Dolphins Rugby Union A Grade season can only be described as disappointing. 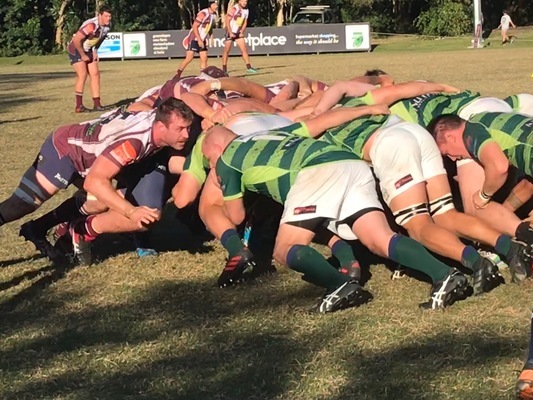 While the team was only marginally defeated in the first two rounds of the 2019 Sunshine Coast Rugby Union competition it’s a position never before experienced in the history of the club. Noosa Rugby Head Coach Michael Phelan is not at all concerned by the shaky start, maintaining full confidence in his fresh new team’s ability to produce results. “It’s early days,” Phelan said. For the Dolphins that is no longer the case this year with Saturday’s A Grade starting XV featuring only three members from the 2018 grand final. A strong contingent of Dolphins supporters followed the side to the Snake Pit on Saturday to take on Caboolture, keen on seeing some hard-hitting rugby. 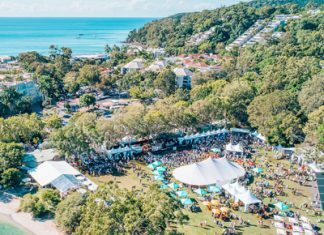 Noosa’s polished performance didn’t disappoint, steered by half-back and captain Trent Morgan, Noosa outplayed the home side with a back to basics style game. Noosa Rugby Club President Donald Mckill was impressed by the team’s consistency in both defense and attack. “The boys have put a massive amount of effort into their preseason training and it’s good to see it coming together,” he said.